The time on earth is obviously vastly different to time in eternity but when God said the angels and cherubim in the throne room worship Him day and night, that tells us there is currently day and night even in heaven. In the lake of fire there will be torment day and night forever and ever, indicating there will eternally be day and night in the lake of fire. In heaven, night will cease once all the judgements have taken place and redeemed people have settled into the Kingdom of God on the new heaven and earth God plans to create. Making disciples of all new believers is a direct command of Jesus Himself, spoken forty days after He rose from the dead and just before He ascended to heaven. There is no verse in the Bible instructing us to plan outreaches but we are told to make disciples and to baptise everyone in Jesus’ name then we must teach new converts to obey the commands Jesus gave the twelve disciples. People everywhere have to adhere to the doctrine of the Lord and to set an example by good behaviour. ‘Teach the things which fit sound doctrine … in all things show yourself an example of good works … showing all good fidelity to adorn the doctrine of God our Saviour in all things’ (Titus 2:1, 7 & 10). 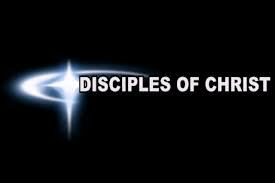 Mature disciples are to teach new converts to be disciples and thus produce more disciples. Christians must grow spiritually and produce spiritual fruit. Eleven of the twelve disciples became apostles and their new converts continued the teaching of the apostles (Acts 2:42).